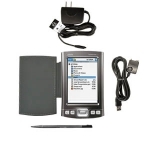 The T5 handheld features an Intel 416MHz processor and 256MB of built-in storage. 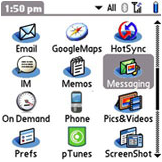 Youll have more than enough room to manage your calendar, contacts, applications and even spreadsheets or presentations. 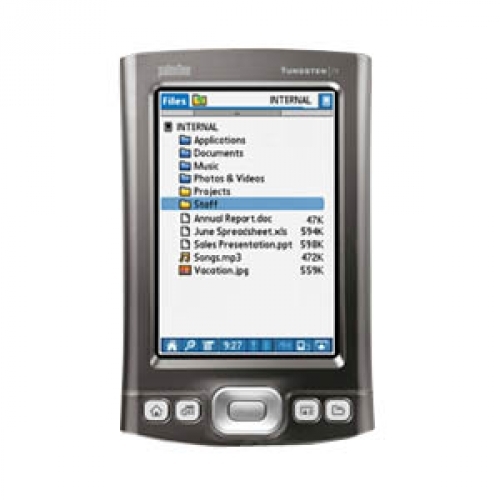 Garnet OS 5.4 provides support for high-resolution screens (320x480), improved security, and multi-media support. Built-in Bluetooth so you'll always be connected. The Tungsten T5 is the first Palm to feature a fully revealed 320x480 color touchscreen. 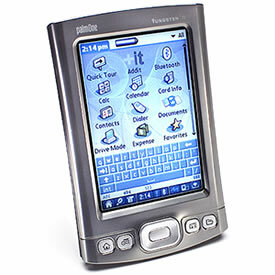 In addition it's also the first to have 256MB of memory which can be used as flash memory. 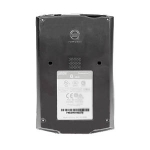 This model features an expansion slot compatible with SD, SDIO and MMC memory cards. The processor, a 416 MHz Intel XScale PXA270 series is only available in the T5 and is a vast improvement over older processors. With the T5 Wi-Fi and Bluetooth are now effortless, connect wherever you want, to whatever you want. 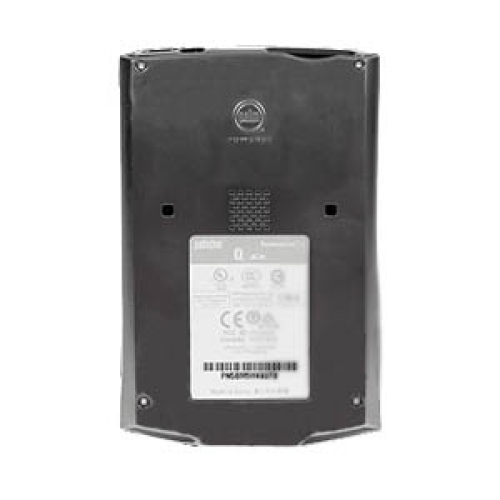 Expansion Card Slot Supports MultiMediaCard (MMC), SD expansion cards, sold separately. Rechargeable Battery Long-life rechargeable lithium ion. 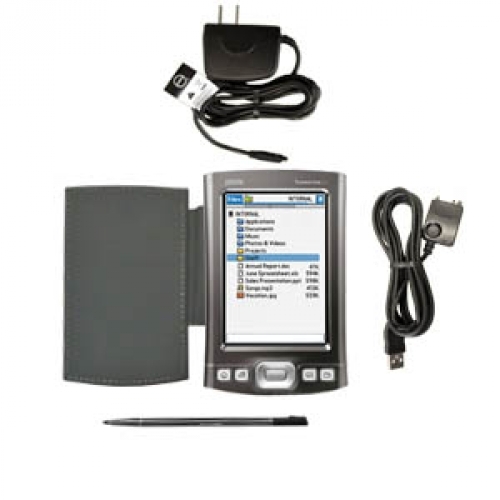 Unlike older NiCd batteries, the Palm T5 handheld's Lithium battery does not require you to run the battery down between charges. It is designed for high power devices and can be recharged whenever it is convenient for you.